This is a high quality stereo audio amplifier that is built into a standard sized UK double pattress. It provides 20W (RMS per channel) of amplification eliminating the need to make space for a conventional amplifier. 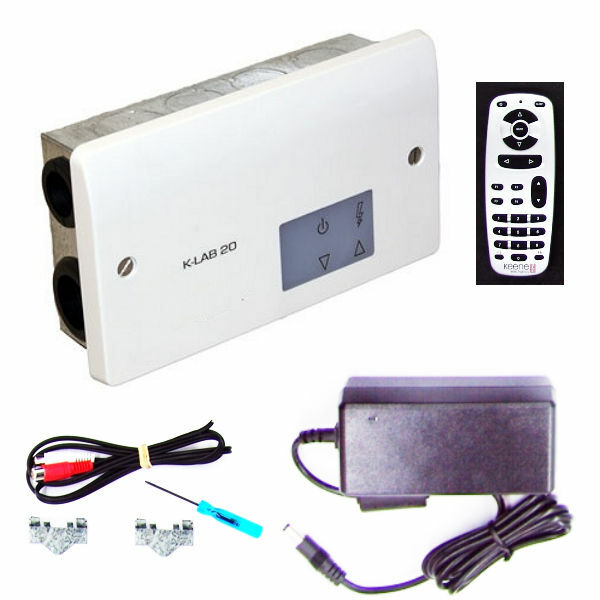 It draws its power from an externally located mains adaptor and control is by infra red remote. Installer friendly screw terminals for speaker & line input. Includes 13 amp mains lead ( not shown ).